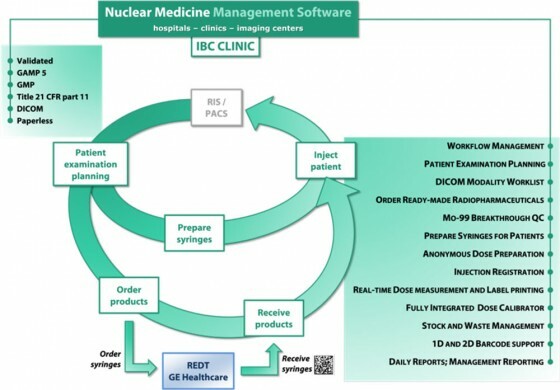 The IBC CLINIC nuclear medicine management software is a state of the art client-server software system for nuclear medicine departments and imaging centers. It dynamically supports you in meeting the local regulations that you face during your daily work related to waste management, order management of ready-made radiopharmaceuticals, stock management, patient examination planning and syringe administration registration. When using multi dose vials, the software supports the preparation of syringes, based on the examination planning and with the support of the connected dose calibrator and software-based read-out. When administrating syringes to patients, the software provides the possibility to measure the syringe just before administration and directly after administration to the patient. The remainder is automatically added to your waste and the exactly administered dose can be returned to the RIS/PACS system if a connection is available. The software supports the use of a barcode scanner which reduces data entry errors. For dose measuring, the software has a fully integrated link with your dose calibrator – manual entry of the measured dose is not needed. The software supports quality controls for the connected dose calibrators (like daily check and linearity tests). With IBC CLINIC it is possible to import the patient examination planning directly from the RIS/PACS system. 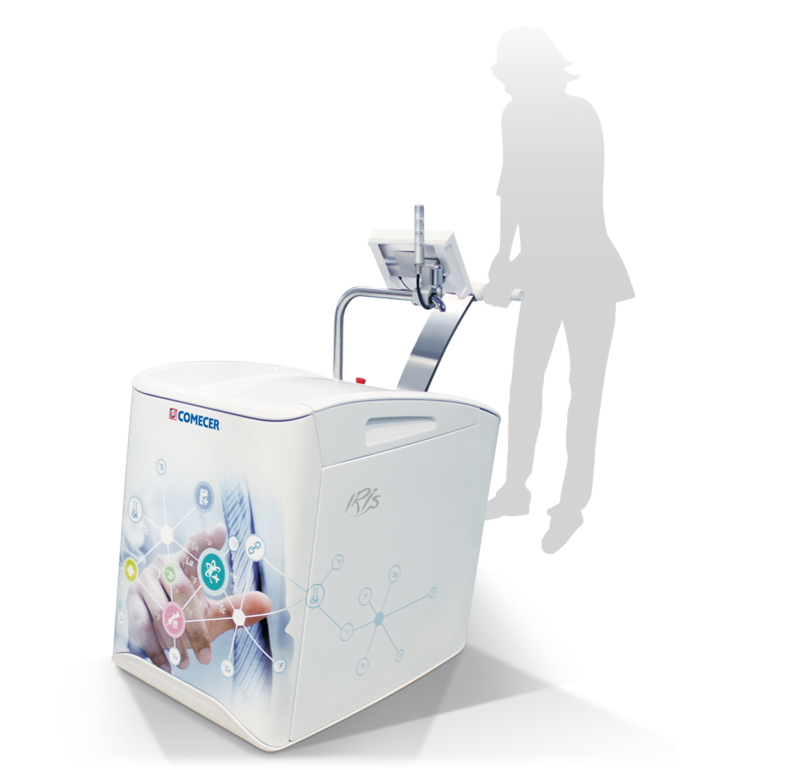 When you have the IRIS injector, an electronic (wireless) link is available between the IBC CLINIC software and the IRIS with respect to the examination planning, patient details and planned doses to inject.